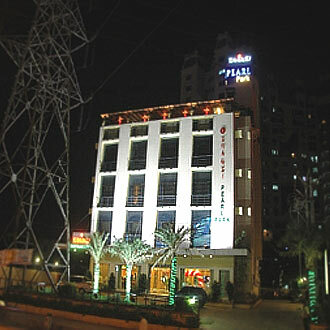 This 3 Star contemporary hotel near Arihant Towers maintains 30 rooms with 24hours room service, which serve guests with complimentary breakfast. They can also visit the roof-top venue by the name of Shansi Restaurant and relish on a multi-cuisine fare. One can also unwind in the cool setting of the nightclub and simply chill out with friends. Corporate travelers are also facilitated with a business center. There is also a banquet space to celebrate private functions.